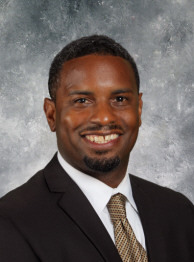 · Increase revenue to the district by way of grant writing in an effort to support educational programs and increasing staff to a level that better supports the educational and social challenges of Steelton-Highspire students. · Improve and increase community and parental involvement by improving communication between school and community and by engaging parents with planned events held within the community as well as in the schools. · Improve the public perception of the School District as it relates to establishing effective processes and protocols, communication, positive publicity, aesthetics, and the district website as a first introduction to our district. · Restructure the administrative team by aligning job descriptions and flow chart to improve efficiency, flow of communication, limit liability, and improve the overall functioning of the school district. Through the promotion of these goals, the Steelton-Highspire School District will meet the needs of all students and prepare them for success in a 21stcentury global economy. 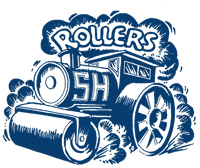 The Roller Education Foundation is inviting the Teaching Staff of SHSD to apply for a 2017 Mini Grant. ALL APPLICATIONS MUST BE POSTED IN GOOGLE DOCS WITH APPROPRIATE SIGNATURES no later than October 9th, 2017. Hard copies will not be accepted. Signatures needed: The building principal and if technology, software or hardware is in your application, Byron Kiehl’s signature is also needed. Awards will be announced no later than November 20, 2017. GRANT REQUESTS FOR GIFT CARDS AND CASH WILL NOT BE CONSIDERED. Grants may be used for educational materials and supplies, classroom equipment, field trips or other expenses that support educational activities. Any materials purchased through the grant become the property of the Steelton-Highspire School District. All funded applicants MUST submit a written report within four weeks of the project completion. If awarded a grant. You may purchase item(s) yourself and get reimbursed OR you can see Lyn Clark at the elementary and she will place the order. Any questions please contact Lyn Clark at the elementary bldg. or Leann Cox at the admin office.REMINDER: ALL RECIPIENTS OF GRANTS MUST SUBMIT A WRITTEN OUTCOMES REPORT AND RECEIPTS TO THE FOUNDATION’S CO-EXECUTIVE DIRECTORS: Lyn Clark and Carol Gadsden at rollereducationfoundation@gmail.com. First make sure you are logged into Google with your shsdrollers.org Google account. You must log into Google with your SHSDROLLER.ORG Google account to use this link and fill out the form. If you do not see a sign in button that means you may be signed in already. To make sure you are signed in with your shsdrollers account sign out then sign back in with the shsdrollers account. Once you are logged into Google with your SHSDROLLERS.ORG account Click the Grant Link Below to fill out the form. If you are having technical difficulty with the form please contact the Director of Technology Byron Kiehl and he will assist you. Steelton Highspire School To Table Aquaponics Program combines students with an educational program based on the production and sale of produce to local restaurants and markets. With an aquaponic greenhouse for an classroom, this program nurtures entrepreneurship while supporting skills in science, technology, engineering, arts, and mathematics (S.T.E.A.M.). Through Wheelhouse with support from Zoetic Global, students are showing off their skills and knowledge at the 100th Pennsylvania Farm Show. Please see some of the pictures taken at the Farm Show Auaponics Exhibit in the slide show above. I thought you would all appreciate an update on the progress of the students. As of today, the students have learned all the basic functions inside the greenhouse. They can successfully run the system on their own (with a little guidance) and manage problems such as pests and some nutrient deficiencies. They have learned how to identify issues that could arise in the system, including ammonia spikes and anoxic buildup. Fish surveys have been demonstrated, and the students will start conducting them next week. They have all learned how to propagate and prune tomatoes, mint, and basil, which people normally don't learn until at least college! By the end of the week they will also learn proper harvesting techniques and more plant propagation. I'm super impressed by all we've been able to cover! We may be able to create a training certificate program that lasts as little as six months, fully qualifying those graduates from the program to work as an aquaponic greenhouse manager. I will advise Aggreco about this program idea. As a final thought, Susannah has demonstrated excellent skills, and she most definitely deserves a round of applause from all. If anyone had any questions or requests, please let me know! Thanks! Welcome to the Steelton-Highspire Virtual Learning Academy at the Steelton-Highspire School District, a full time cyber option for grades K-12. This program utilizes the VLN online platform and courses to provide a rigorous standards-based, online learning environment for our cyber students. Enrolling in the Virtual Learning Academy means students have the opportunity to work in a flexible and non-traditional learning environment with individualized pacing. Students will learn from a standards and researched-based online program that will challenge your student with a 21st century approach. Furthermore, students can continue to be a member of the Steelton-Highspire community, participate in school events and activities, utilize district resources, as well as receive a diploma from the Steelton-Highspire School District. We look forward to working with you and your student this school year. Our commitment is to support student success and we are dedicated to achieving that goal together. If you have questions we are here to help. Please to do not hesitate to contact the Steelton-Highspire Virtual Learning Acadeny at SHSD to discuss any questions or concerns you may have. Welcome to The Steelton-Highspire Virtual Learning Academy!